Hello, and thank you for visiting Marios online, a truly unique experience of Italian Dining steeped in the art of traditional authentic italian cooking and immersed in a stunning location at the edge of the Lancashire/Yorkshire border. 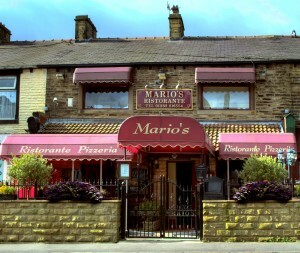 For years we have aspired to make Marios the place to go for good, honest Italian food that’s freshly prepared on a daily basis. Come and relax, enjoy good company with only the finest food and wine, and revel in the glorious traditional rustic Italian surroundings which provide a relaxed, family orientated atmosphere. We offer the finest authentic Italian food, prepared by the same genuine Italian chefs that have been with us since we first opened in 2001. 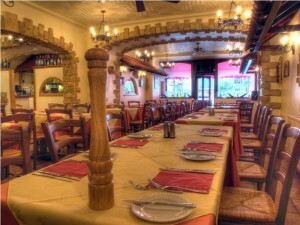 With specialties such as pasta, veal, chicken, fish, seafood, as well as vegetarian dishes and homemade desserts. We have seating for over 80 people inside, with an 14 extra seats outside in the summer, ideal for eating al fresco. As well as a mouth-watering menu, the restaurant has an excellent wine list featuring a wide range of Italian wines which we import from all over the world. In addition, there is a special selection of vintage Italian wines available for a celebration or that special occasion. The restaurant also caters for parties providing a range of set menus. We looking forward to welcoming you at Mario’s soon!